Have a website that is not designed to be search engine friendly and does not rank well in the “organic” search engine results pages. Have a relatively new site that has been optimized for the search engines, but is not old or large enough to rank well yet. Rank well in the search engines, but want to increase your overall click-through rate by having your company appear in both the paid and organic listings. Need to “fill the holes” for keyword phrases that you do not rank highly for in the search engine rankings. Want to better understand the potential traffic a given keyword phrase generates to plan for your website development or SEO program. Want to test which keyword phrases convert the best for you current website. The three primary pay per click ad programs are Google Adwords, Yahoo! Search Marketing and Microsoft adCenter. A majority of pay per click advertising management firms and companies report they receive significantly more visitors (traffic) from their Google Adwords campaigns. However, there are reports from some pay per click management companies that conversions for Google Adwords are lower relative to the other pay per click programs. A report from WebSideStory, for instance, suggests conversions for their clients on AOL and Microsoft are over 50% higher than Google conversions and Yahoo is a little over 5% higher for conversions. Of course, a lot more keyword phrases are purchased through Google which has significant impact on the conversion rate. We have found that conversions are slightly higher with Yahoo! Search Marketing and significantly higher with Microsoft adCenter – but at much lower volumes. Because of the volume necessary to conduct statistically valid testing, however, we recommend you consider Google Adwords as your starting point when establishing a new PPC advertising program. Once you spend several weeks or more going through all of the PPC program tutorials, it is possible to create pay per click campaigns with any of the big three PPC providers in a matter of days. Unfortunately, creating a click campaign is one thing, creating a profitable PPC program can be much more difficult. If you plan to attempt the “do-it-yourself” route with pay per click, please read some of the common errors you will want to avoid listed below and also read Rob’s PPC Blog for additional best practices. Disorganized campaign structure – it’s critical that you structure your campaigns appropriately from the beginning to allow for proper testing and higher quality scores. Keywords too broad for a particular ad group – it is important that your ads have a high degree of relevance to the associated keywords. Assume top placement results in the highest conversion or ROI – higher placements tend to result in more clicks, but that does not necessarily mean the highest position also results in the highest conversion or ROI. You’ve got to test and track. Fail to send click traffic to the most relevant page – some people still send their click traffic to the home page. This is usually not the most relevant page for the visitor. Stop ad copy testing after initial success (if you test at all) – if you’re not continuously testing your pay per click campaigns, you are missing out on one of the primary benefits of the channel. Use the wrong metrics to track pay per click success – there are a lot of potential metrics to use in your PPC program. It is important to pick the right metrics for your business and gather accurate data to measure against. Helps you launch or manage your own pay per click campaign. 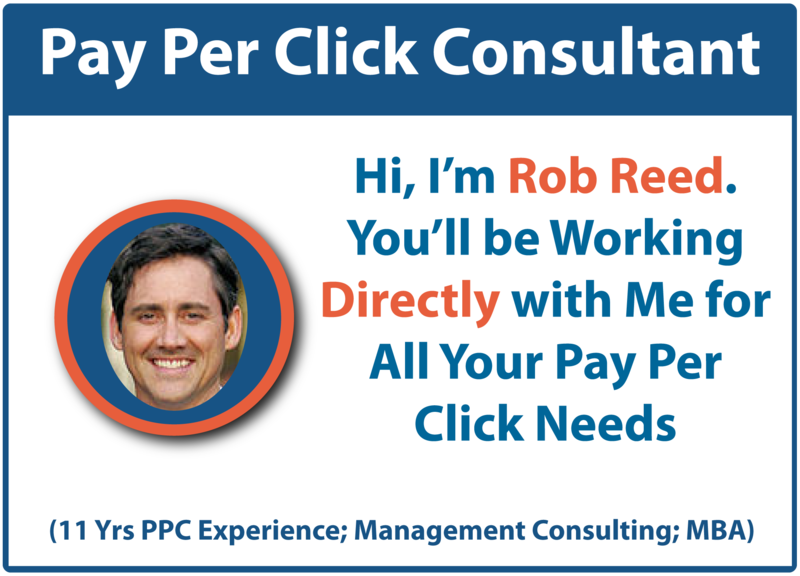 Can I help with your pay per click advertising program? Call or email me today for a prompt response. 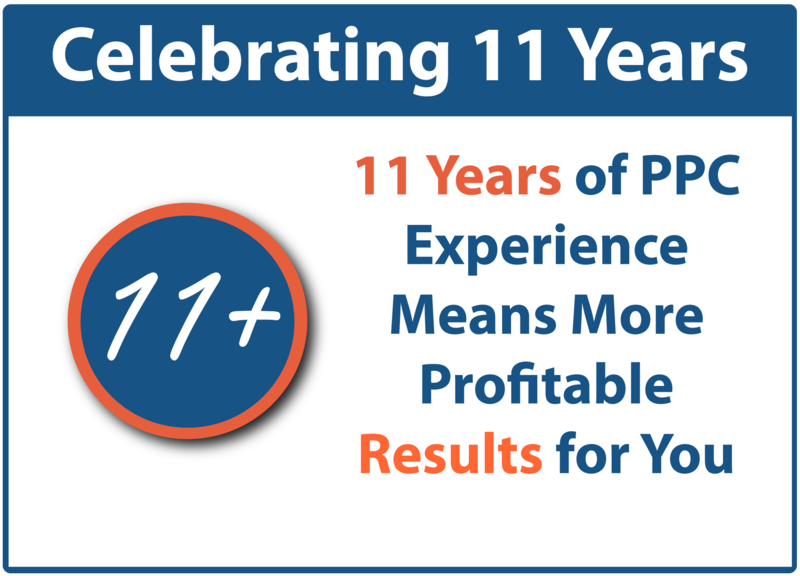 Or, feel free to click to learn more about my PPC consulting services and pay per click management services.